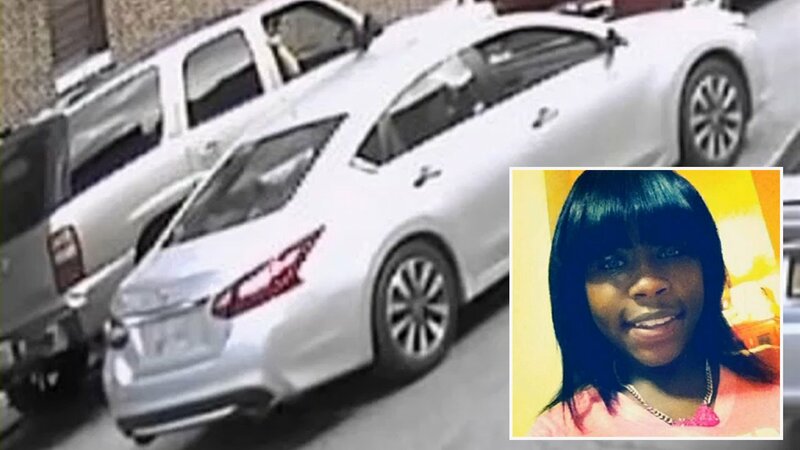 BROWNSVILLE, Brooklyn (WABC) -- There is a break in the search for the suspect who shot a pregnant Brooklyn woman in the head. Police released a picture of the car they say the shots came from. They say the car was stopped on Dean Street in Brownsville over the weekend when it happened. 19-year-old Tytiana Sparks was hit twice in the head just steps from her home. She and her baby are both expected to survive. Sources tell Eyewitness News the bullets may have been intended for someone else.